It won’t surprise you to hear that healthier food costs more than junk food – an average of $1.50 more per day, in fact. Research conducted by the Harvard School of Public Health shows that healthier diet patterns, such as a diet rich in fruit, vegetables, fish and nuts, are more expensive than unhealthy diets full of processed foods, meats and refined grains. $1.50 may not seem like a staggering amount. It’s certainly less money than you would spend on a cup of coffee. For some families, however, an extra $550 per person for a year of healthier eating can seem staggering. For a family of four at the poverty line (household income of $24,250), we are probably talking about 5% of their income. Of course, there are plenty of costs associated with not eating healthy. Our nation is facing an obesity epidemic with over 70% of our population clinically overweight. Obesity-related chronic illnesses cost more $147 billion a year, according to Medicaid officials, and half of that cost is born by State and Federal governments. Check out this infographic from Forbes Magazine showing the per individual extra costs per year: $478 if you are overweight and $3,762 to be obese. Ellen Gustafson, Co-Founder of Food Tank, wrote a great blog on Huffington Post addressing the hidden costs of cheap food. The cost of negative environmental impacts doesn’t appear on the price tag: petroleum for transportation, soil erosion and water waste, pesticide-related illness in farmers, impact to wildlife, to name a few. Also not on the price tag of our highly processed foods: the social injustice. Cheap food necessitates cheap labor – 47% of the food service and preparation industry earn only the federal minimum. At $7.25/hour, a worker must work more than one job to even approach the poverty line to support a family, so they are less likely to have time to purchase and prepare healthier food. 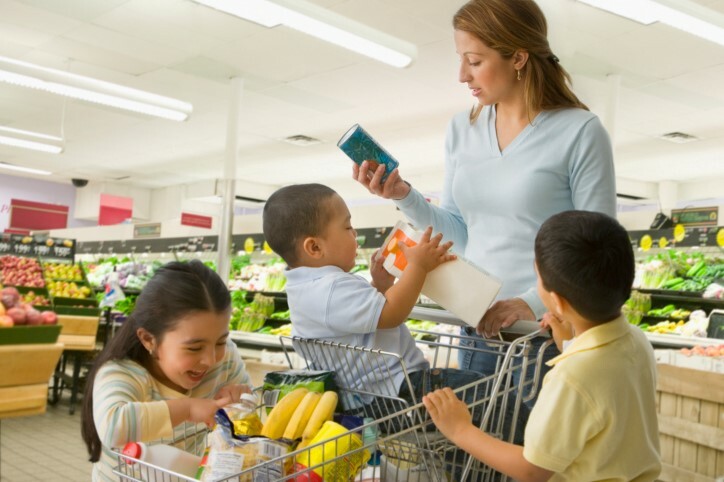 They are also more likely to live in a food desert, where access to supermarkets with fresh fruits and vegetables is more limited, and rely on food stamps and government assistance to feed their families. The spiral of social injustice becomes evident and news reports like this one about Walmart throwing food drives for its own employees starts to get under your skin a little. Great article Kelly! I’ve been thinking a lot about the long term effects and costs of my not so good eating habits. I have been obese most of my life and now that I’ve hit middle age, I’m really feeling it. I’ve always had decent health and haven’t suffered any of the issues that are typically faced by people my size (e.g., diabetes, high blood pressure, etc.). For a few years now, I’ve been feeling the ache on my back and joints and realize it’s past time to do something about it since I’ve vowed not to turn into my father who is taking more medications on a daily basis than I care to count. A recent spike in my blood pressure was enough of a scare for me to take action. I got a juicer for Christmas, but don’t find the planning and effort involved in juicing to fit it with my hectic lifestyle. Which is why I was so thrilled when Verde opened and I had a reliable source for getting fresh and healthy juices. I’m excited to be moving towards better health and long-term health and happy to have businesses like Verde around to help me get there. My thanks to you and the entire staff at Verde!